Laser liposuction is a minimally invasive, ultra-high-powered laser system used to melt unwanted fat, resulting in collagen remodelling and tightening of tissue*. Laser liposuction is ideal for small areas and parts of your body with loose skin, and for treating stretchmarks and cellulite. 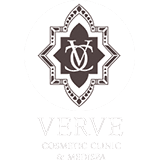 Verve uses ProLipo PLUS – a faster and more powerful laser liposuction system taking much less time than other liposuction treatments. ProLipo PLUS is frequently used as an aide to traditional liposculpture, but can also be used as a standalone procedure. The ProLipo PLUS system was developed to meet demands for minimally invasive body sculpting laser treatments that can be comfortably done with local anesthesia. The following areas of the body can be contoured and tightened using ProLipo PLUS: chin, jowls, neck, arms, back, abdomen, flanks, hips, waist, thighs, buttocks, knees and the male chest. Laser lipo is a simple procedure that is carried out by a professional at the clinic. There is no need for any general anaesthetic before the procedure, which mean that patients will be awake during treatment. You will wear glasses to protect your eyes and once you are comfortable, small incisions will be made into the treatment area. Of course, the skin will be numbed first. Then a small laser is used to help soften the fat and then suction will be applied to remove this fat. Laser liposuction normally takes around one to two hours, but this will depend on the size of the treatment area and you will be advised at your consultation. The ideal candidates for laser liposuction are men and women seeking a body sculpting treatment. This can be due to having stubborn fat on the body that does not seem to react to regular exercise and a healthy diet. This can be fat deposits on area such as the stomach, arms, thighs and buttocks. Laser lipo is an alternative to surgery and will create a slimmer and contoured shape. To learn more about your Laser Liposuction options, contact us today, for a consultation with Dr Alia Nasser, leading female cosmetic practitioner in Sydney. Why is Laser Liposuction better than traditional liposuction methods? Traditional liposuction uses a suction tube (cannula) to remove fat from certain areas of the body. Although most traditional methods today use a fluid injection to soften the fat cells so they can be broken up easily, it will eventually involve physical force to break up the fat cells to be suctioned from the body. This often causes a lot of problems as a result of the damage and trauma inflicted upon the connective tissue, blood vessels, and other tissue in the treated area. Laser liposuction is a much gentler technique, where fibre is used to direct the laser energy. Heat from the laser melts fat cells allowing the fibre to cut through the area easily, and the fat is then removed through a tube (cannula). The heat causes collagen fibres to contract, which tightens and improves how stretchmarks, cellulite and loose skin appear. Laser liposuction works well due to the accuracy and precision in targeting fat cells, allowing us to perform a major procedure on a patient and follow up with laser liposuction for the sculpting and detailing of the treated area. The increased precision of laser liposuction also means less risk of causing trauma to the neighbouring tissue. What are the risks of Laser Lipo? Many of the serious risks associated with liposuction are linked to the amount of traumatic forces used to break up fat cells. However, laser liposuction does a good job in dealing with these risks in a number of ways: The smaller incision area means no stitching is required, lowering the risk of infection or scarring. Swelling is often the result of fluid build-up and since the laser technique causes little bleeding, the chances or excessive swelling is reduced since laser lipo procedure removes fat on a small scale, there is very little chance that the laser will burn the skin, or accidently remove too much fat, which causes skin irregularities. Laser Liposuction is well tolerated by most patients. A mild sedative can be used to make the procedure more comfortable, but there is no need for a general anaesthetic. The area that receives the incisions will be numbed beforehand. Patients do report feeling some pressure on the area, but this is not painful. How long will it take to recover from? Laser liposuction patients usually undergo smaller procedures in addition to the better accuracy of targeting fat cells and leaving neighbouring tissue relatively unharmed. This means shorter recovery time. Most patients are free to return to work and normal daily activities after just one day of rest. How Long Until I see Results from Laser Lipo? The results with the ProLipo Plus can be realised immediately and reveal a slimmer and more contoured body shape. Are the results of Laser Lipo Permanent? The results of laser lipo are permanent. But, it is important to remember that the body will only keep its new slimmer shape if the patient maintains a healthy diet and enjoys regular exercise. Any weight gain will affect the results of laser liposuction. The cost of this procedure ranges from $4000 to $12000 depending on the number of areas treated. The reduction in fat and newly sculpted figures are permanent as long as the patient maintains a healthy lifestyle – meaning incredible value in looking and feeling great for many years to come.